Micro:bit Educational Foundation has donated 1,200 micro:bits to extracurricular digital skills initiatives supported by Digital Xtra Fund. Six initiatives across Scotland will benefit from a total of 1,200 micro:bits as part of their support from Digital Xtra Fund. The hardware, donated by Micro:bit Educational Foundation, will enable Apps for Good, Inverness Science Festival, McLaren High School, CodeBase Stirling, The Prince’s Trust, and West College Scotland to deliver activities beyond the initial funded programme run and help inspire even more young people into digital technologies. 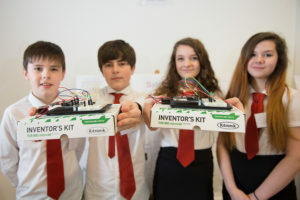 Digital Xtra Fund is currently developing the 2018/19 grant awards supporting digital skills initiatives across Scotland, many of which use the micro:bit to engage young people. The Fund is supported by a range of industry partners who share a common will to help young people succeed in a digital world including the Micro:bit Educational Foundation. The Foundation is also in the midst of rolling out their biggest and most exciting micro:bit coding challenge to date – the global micro:bit challenge – and has commissioned Lancaster University’s Department of Educational Research to research ‘Using Micro:bit Devices in Teaching and Learning’. 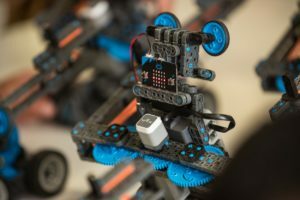 The study seeks to explore how teachers and students have been using the micro:bit to support teaching and learning in computing as well as in wider cross-curricular ways. Micro:bit Educational Foundation’s vision is to inspire every child to create their best digital future. The Foundation is enabling children around the world to get creative with technology and invent in school, in clubs, and at home. 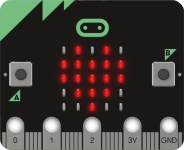 The micro:bit is a handheld, fully programmable computer that was rolled out across the UK in 2016. It’s 70 times smaller than the original BBC Micro computers used in schools in the early 1980s, and now it has built-in sensors, an LED display and a Bluetooth radio, so it’s instantly interactive. Started by the BBC and a team of partners, Micro:bit Educational Foundation is a non-profit organisation continuing the micro:bit programme and bringing it to schools and children around the world. The Foundation was established with the support of our founding partners in September 2016. Micro:bit Educational Foundation is a UK based organisation and redistributes the bulk of any surplus money generated into providing free devices to exceptional micro:bit educational programmes across the globe.